What could be better than all the functionality of a full-size OB van in a compact, customised and affordable package? Introducing the new OBLite Trailer from Gearhouse Broadcast. Why pay for full-scale outside production when less can do more? We have designed a new feature-packed, compact trailer customised for live HD outside production, at a fraction of the cost of full-sized OB vans. The new OBLite from Gearhouse, the global services leader, packs the functionality of a full-scale Outside Broadcast van into a high-spec trailer engineered to get you into all those tight spots – whether red-carpet soirees, sporting contest, concerts or news events. Despite its small footprint amd low power consumption, the OBLite is fully equipped to capture and transport live HD footage and signals. The Gearhouse Broadcast OBLite boasts full HD capability, servers, cameras and routers from the biggest and most trusted names in digital production technology – Hitachi, Imagine Communications, Ross and Telex to name a few – and not a centimetre of wasted space. For those events where eight cameras not 20, and space and costs are paramount, this is the must-have OB vehicle. The OBLite is the first of its kind, offering entertainment, sports and news organisations full production capability in a highly affordable, compact footprint. We didn’t just squeeze as many features as we could into a standard configuration. We started from scratch, considering critical production elements and ergonomics. The new trailer design allows us to make the best use of available space and customise equipment choices where needed. With a build time of weeks not months, the custom trailer can easily house an eight-person production and operation crew and features eight Hitachi camera channels. Smaller doesn’t mean less equipped. The OBLite comes standard with the highest quality outside broadcast production equipment and HD capabilities. Or, we can design your OBLite exactly to your specifications. Give us your requirements and we’ll create a van customised to your needs. 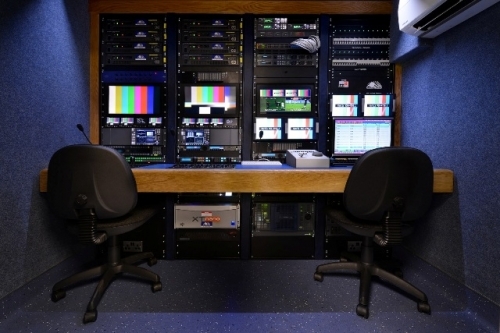 Contact a Gearhouse Broadcast specialist in your region for specifics and pricing. We’re eager to show what that OBLite can do for your production and your budget. Gearhouse Broadcast Doha offers services in Equipment Sales, Equipment Rental, Systems Integration and Project Solutions. The Doha office was opened in 2008 in response to the increased demand from the Qatar Market and gives us a base to offer the highest standards of international excellence in broadcast installations to this fast emerging market. Our local personnel understand the Qatar business landscape and have worked with a variety of clients from Broadcasters and Studios to Stadium and Venue Operators. 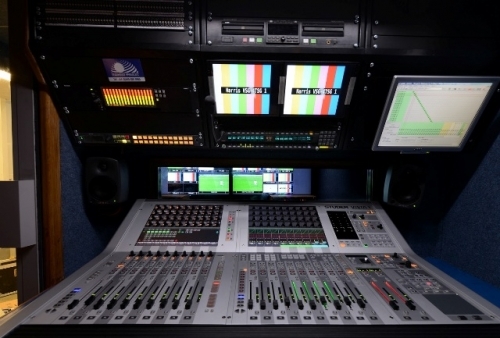 We can provide a comprehensive range of services including broadcast systems integration, permanent and temporary cable installations and stadium and arena upgrades and OB truck builds and installations. We have worked with a variety of clients from Broadcasters and Studios to Stadium and Venue Operators. Some of our prestigious clients in Doha include the Qatar National Olympic Committee, Qatar Sports City Project, Dubai Sports City, Aspire Academy for Sports Excellence and Al Jazeera.